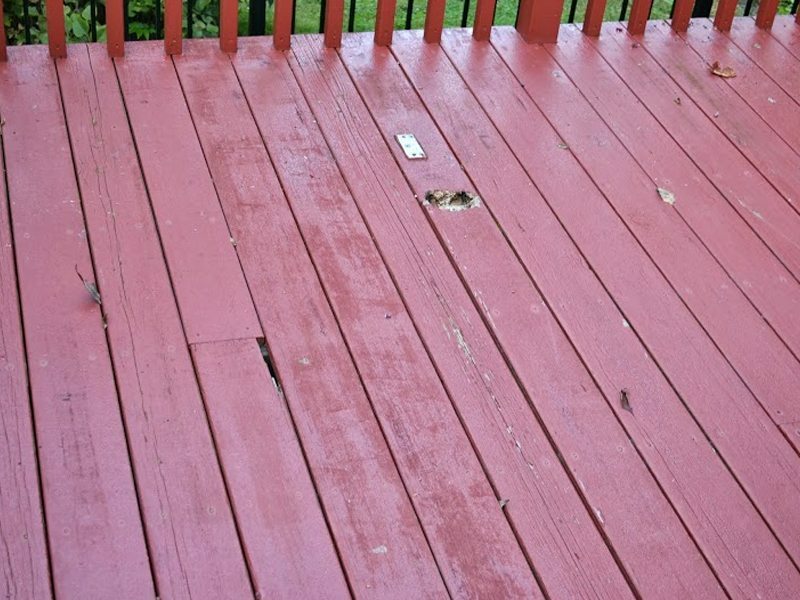 Even the best maintained wood deck will eventually show signs of wear and weather damage. This Morristown, NJ home had a great deck made of pressure treated lumber, but inevitably over time it had aged and been worn out by the elements. The homeowners loved the design of their deck and wanted to replace all of the aged wood with a new material that would not be sensitive to the elements and that would also require little maintenance. Our team at Monk’s was able to replace all features of the deck with composite, moisture resistant material. In only three days Monk’s had another happy customer. The first step of this particular project was removing all of the existing pressure treated railings, lattice, and decking. With the old, damaged, pressure treated wood out of the way our team was able to rebuild the components of the deck using composite. Our team of skilled carpenters will rebuild each custom piece of your deck by hand, ensuring that your home has the exact look you have dreamt of. 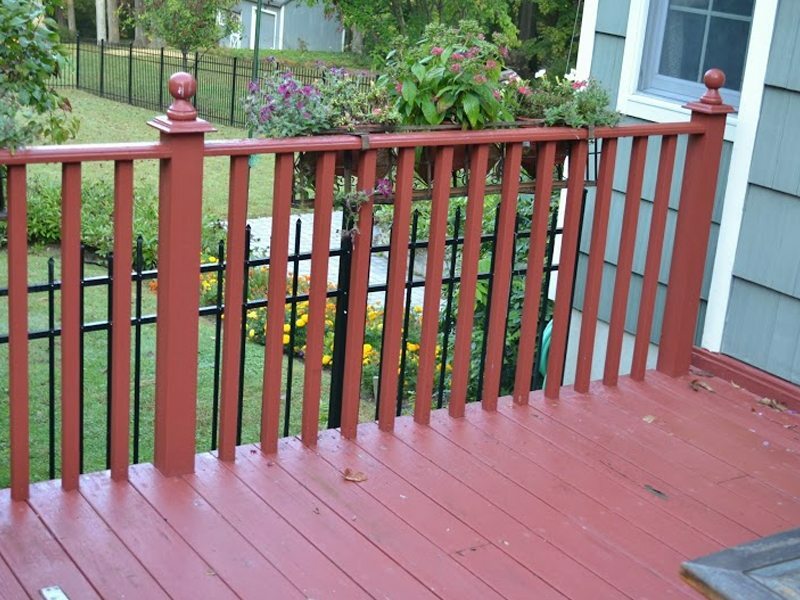 For this particular project our team installed new composite railings, decking, and lattice. Composite is prefinished in the factory, meaning once our team builds and installs your home’s new project it does not have to be painted or stained; the job is complete! Another great project completed by Monk’s! In just three days this home’s deck was upgraded to a composite structure; one that is weather resistant and will require very little maintenance! Other Types of Work: Historic farm house painting job, Custom built gate replacement in Mendham. If you are considering a carpentry project for your deck we would like the opportunity to tell you why we think we are the best carpentry contractor in Morristown, NJ.